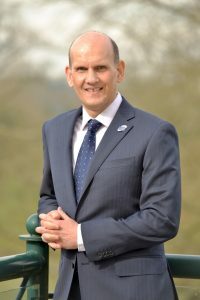 Terry Tennens has been Chief Executive of SAIF since April 2016. Whether it’s commenting on changes in legislation, consulting with other like-minded organisations or providing a comment for the media – Terry is committed to ensuring the views of independent funeral directors are heard throughout the UK. Together with the team at SAIF Business Centre, he is also a strong advocate for professional development and a believer that funeral directors must have access to expert advice and support if they are to continue to provide a service of the highest standard. An MBA post graduate, Terry previously served as founding Chief Executive of International Justice Mission UK, part of IJM Global, the largest anti-slavery organisation in the world. When relaxing he can be found keeping fit, playing golf and entertaining friends.